Good Morning lovelies! 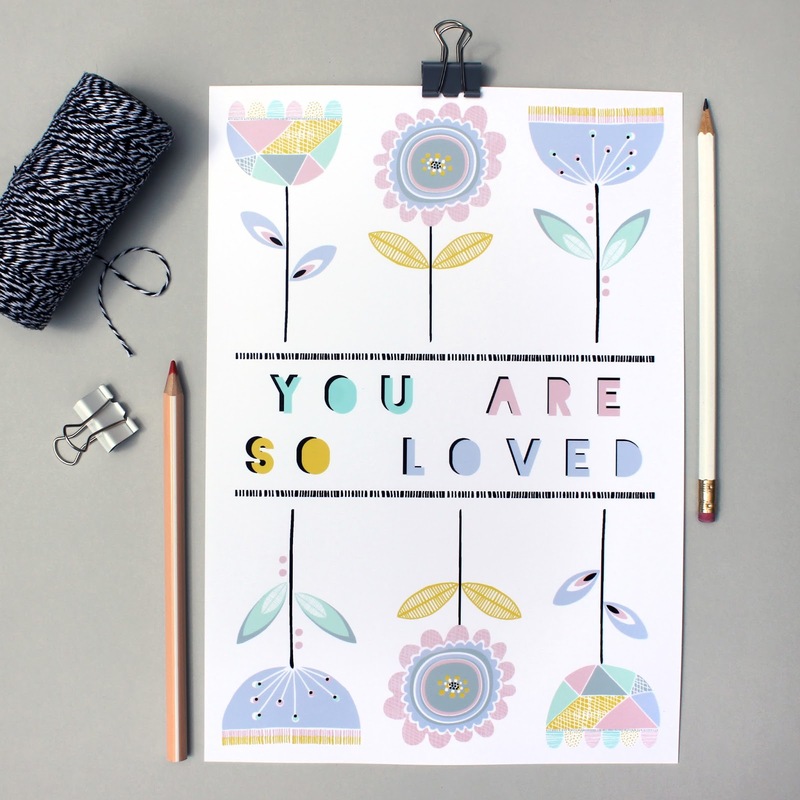 Today we are sharing a new range of prints which we've just uploaded to our Not On The High Street shop, all available to buy in both A4 and A3 size. We designed this range in a pretty colour palette of summer ice-cream shades, from minty green to strawberry pink... yummy! 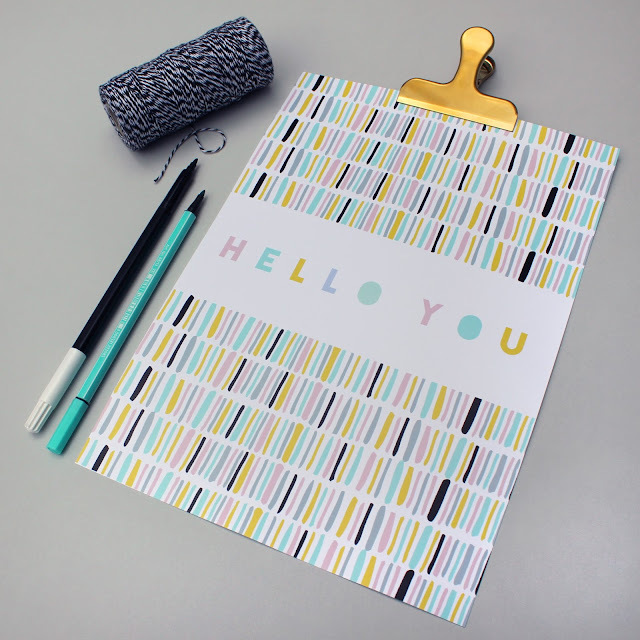 For this collection we were inspired by Scandinavian patterns and shapes with bold, graphic typography. These designs make for fun prints in the home and we think our 'you are so loved' print is perfect for a nursery. All of the photography and styling was produced by us, we love styling new products and are always on the look out for fun new props to incorporate. For this particular shoot we were inspired by stationery gurus Present & Correct with their clean and contemporary style (did we ever mention we LOVE stationery?). 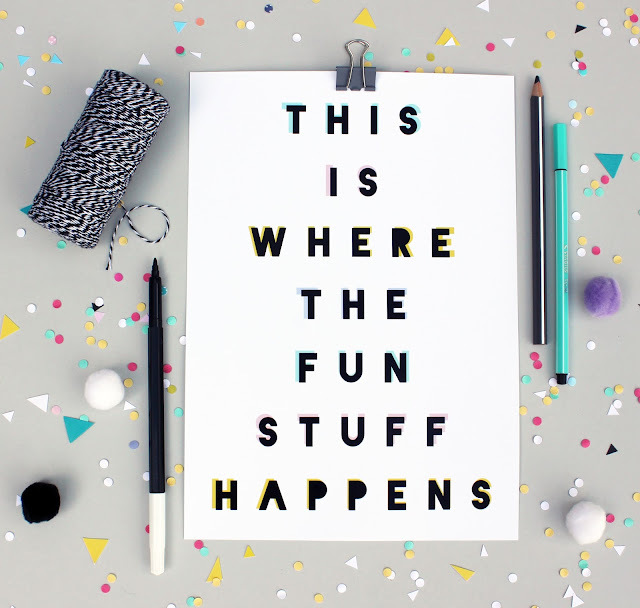 We will be back soon to tell you all about a little branding project we recently worked on, in the meantime you can buy all of the prints featured in this post here. Well Spring is finally here and the evenings are getting lighter! Spring is always a lovely time of year seeing the end of those cold winter days with the thought of Summer being around the corner. 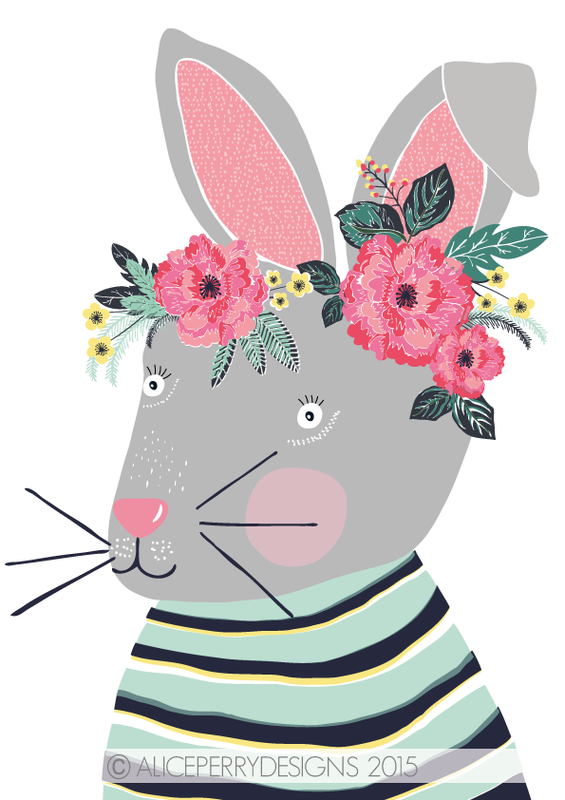 Doesn't she look pretty in that floral blossom crown, 'hop' you like her! 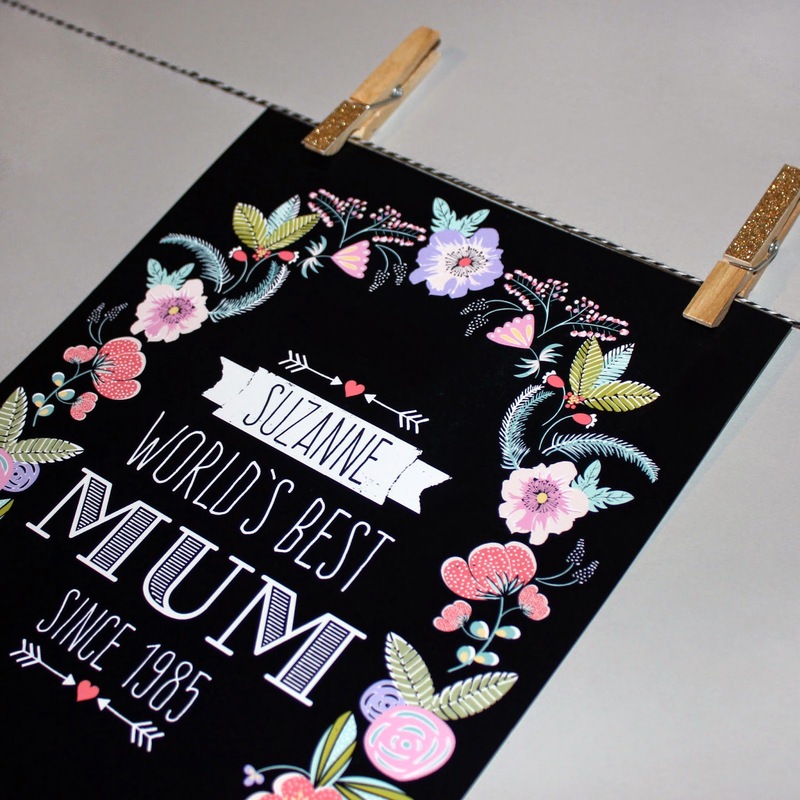 With Mothers day only a couple of weeks away it's time to start thinking of the perfect gift to treat your mum, we have designed this personalised floral print available to buy with either a black or white background. 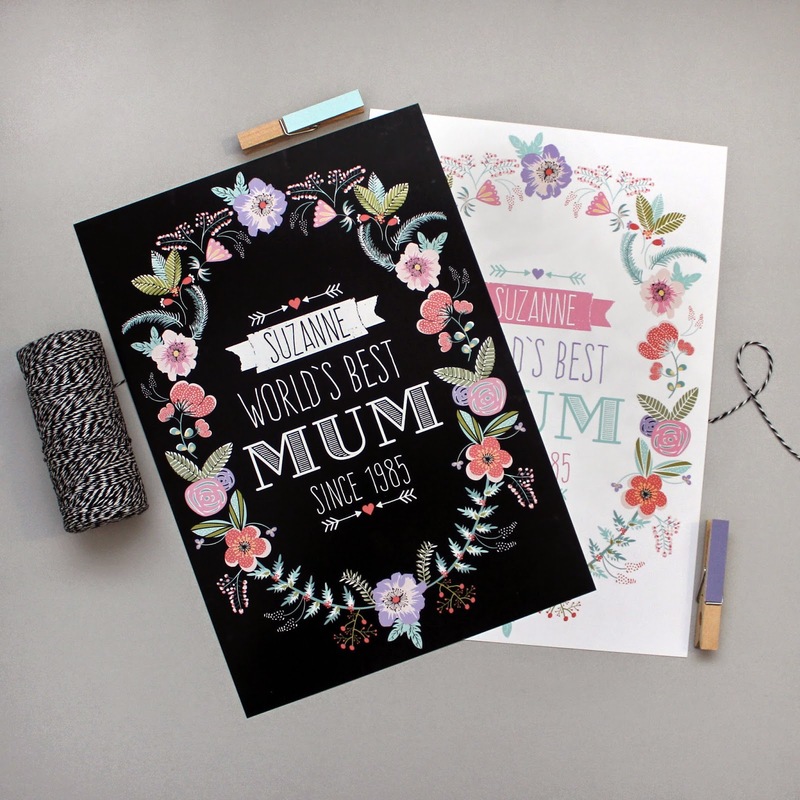 This A4 print is inkjet printed on a high quality heavy weight 270gsm matt paper and can be personalised with your mum's name and year she became 'world's best mum' (this could be the year she had her first child or the year you were born). 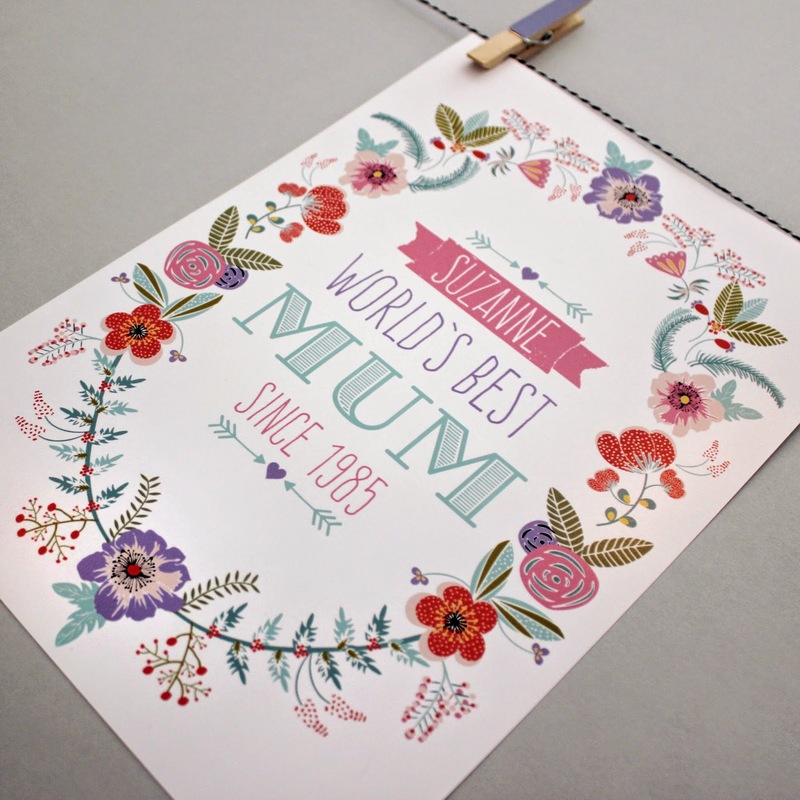 This print would make a perfect keepsake gift for a new mum too! The floral design has been delicately hand illustrated with colour added digitally. Head over to 'Not On The High Street' to purchase! Last month we were super excited to announce that we had been accepted to become a partner with the prestigious Not On The High Street. We have been so busy launching our products with them that we have not had the time to blog about it (excuses, excuses!). 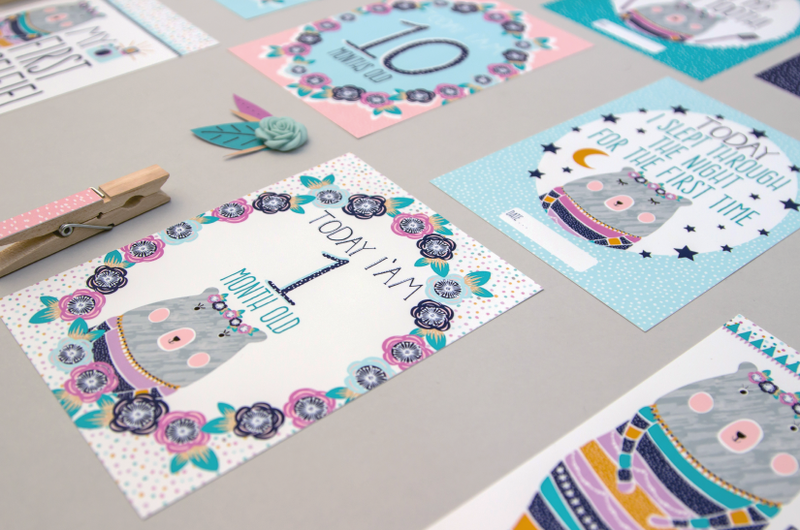 We currently have a selection of new baby and nursery prints, some of which can be personalised, we also have designed a set of baby milestone cards which are proving to be a best seller! The baby milestone cards document key moments in a baby's first year ranging from baby's first tooth to first steps. 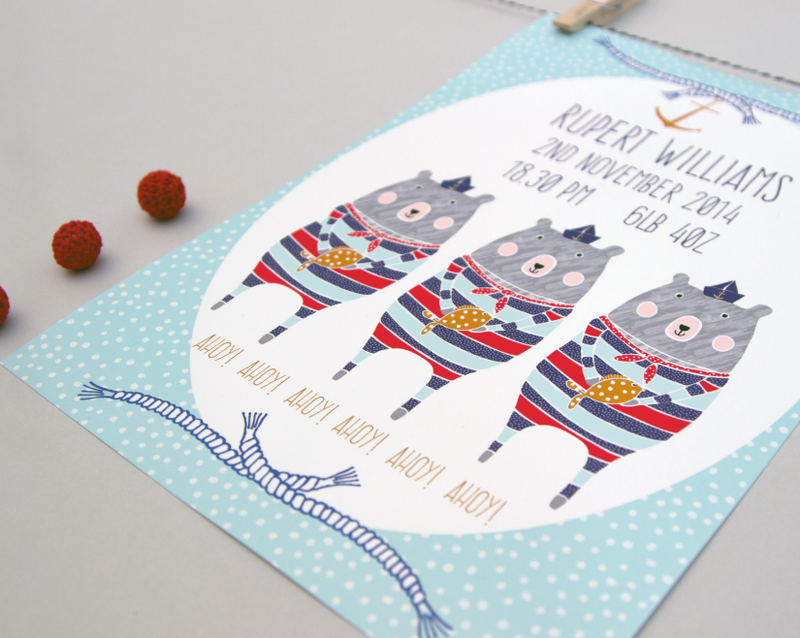 Our hand illustrated prints are a perfect gift idea for a new arrival, christening or baby shower and can be personalised with the baby or child's name, weight, time and date of birth, making for a lifelong keepsake. 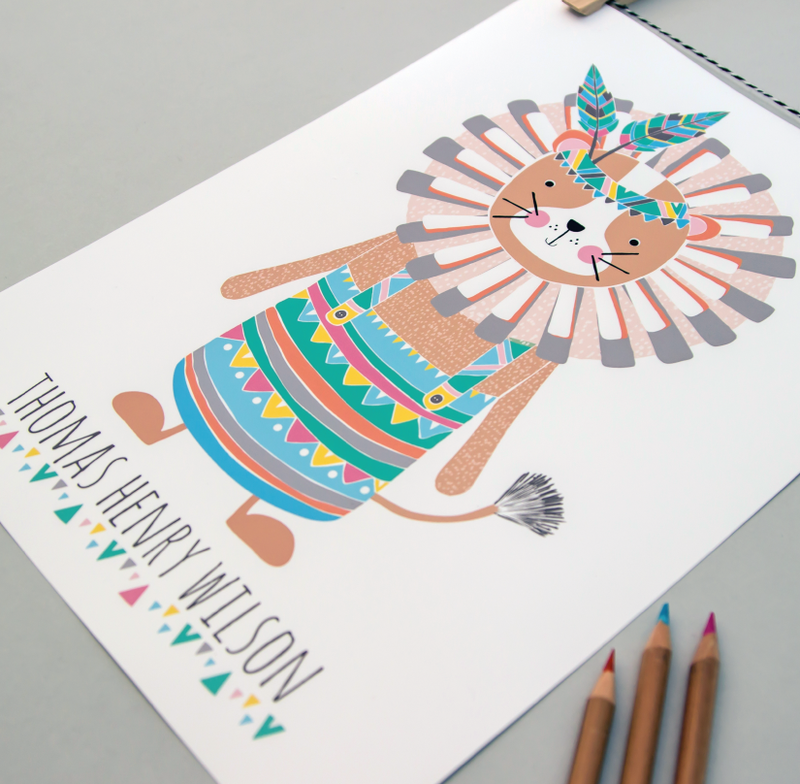 Each design has been delicately hand drawn with colour added digitally. 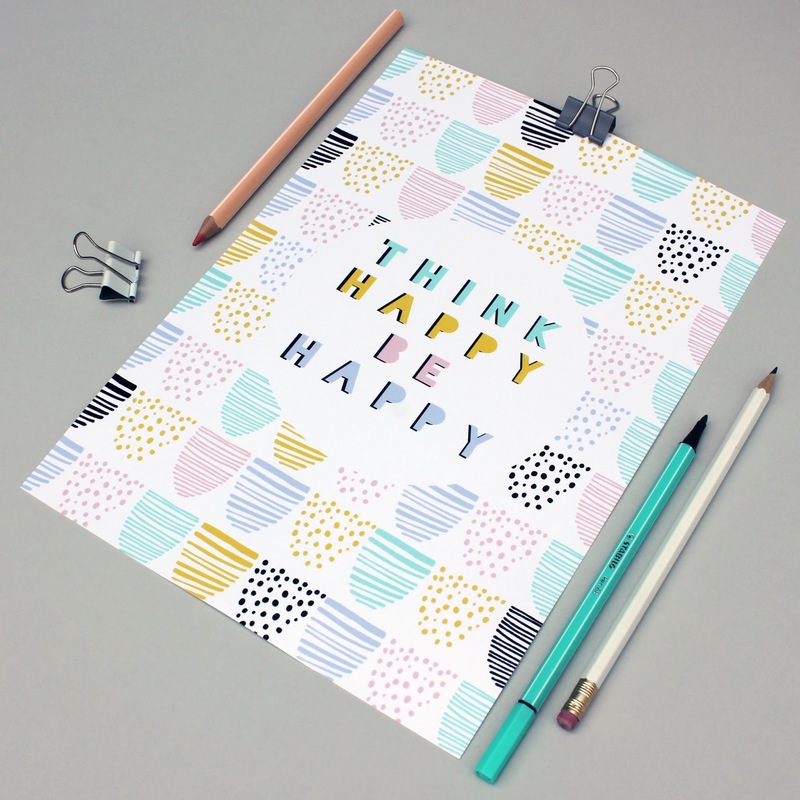 With our initial collection of prints now live we are now planning to expand our range of paper goods and stationery. Below we have uploaded a small selection of images of our products, click here to shop and see our full range. In the meantime keep a look out for new and exciting products! 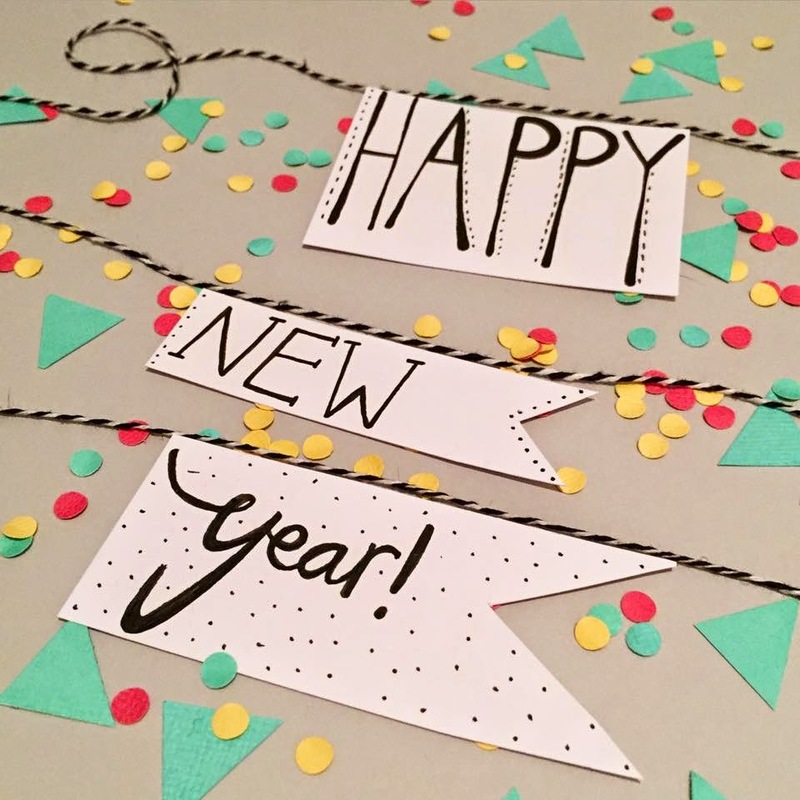 2014 was such an exciting year, we are super excited to see what 2015 will bring to Alice Perry Design's! 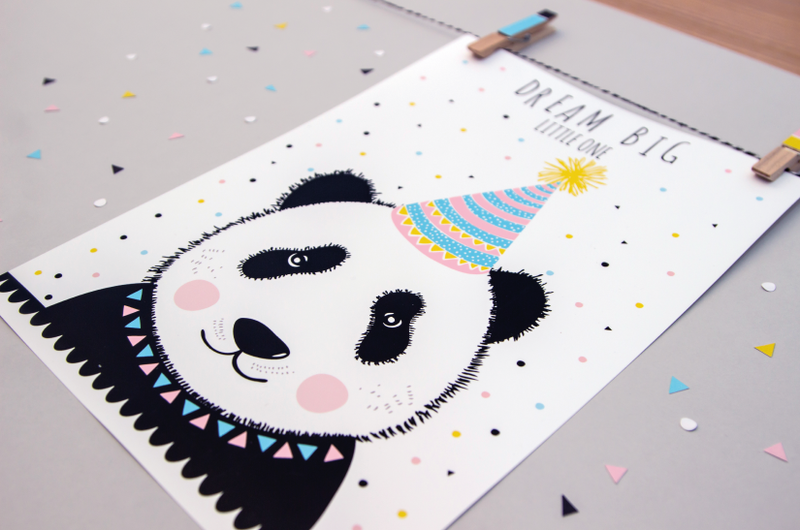 We have lots of exciting plans and new designs launching very soon.